Robi is the cutest, funniest and most curious robot around! He loves to explore the world around him and meet new amazing animal friends. Along with Robi, your child will learn basic facts about many animals – their habitat, what sounds they make, what they like to eat, how their babies grow up, etc. 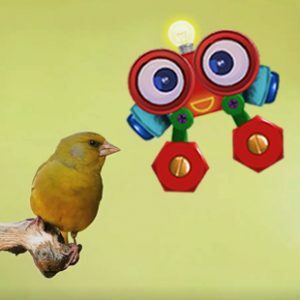 Combining incredible live footage from all around the world with our animated Robot, Robi, this series will encourage your child to expand their learning about animals in a most entertaining way. See what time My Animal Friends with Robi is playing!